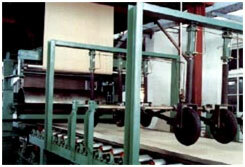 Our company can supply the production technology (Know-How) and complete set of equipment for plasterboard. The product quality is in conformity with Chinese standard GB9775-88. The company can also supply the technical service, such as engineering design, civil engineering design, erection/erection supervision, personnel training, heating-up, commissioning and other service after sale.